“You have to spend money to make money.” Ever heard of that saying? It couldn’t be truer for blogging. 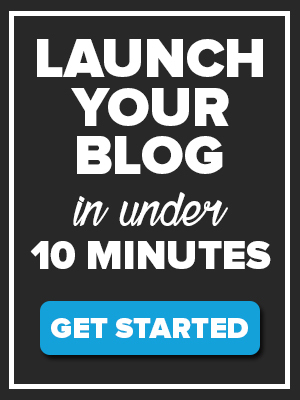 If you want to make money from a blog, you have to get yourself a self-hosted WordPress blog. The free blogging platforms just aren’t going to cut it. Like in any business, in blogging too, you have to invest a little bit of money to set yourself up right and put yourself in the right position to make money. We’re not saying that you need to go and shell out hundreds of dollars to start a blog. In fact, we highly recommend you DON’T do that. However, if you’re blogging just for fun and aren’t really looking at turning it into a source of income, it’s 100% fine to use a free platform for your blog. 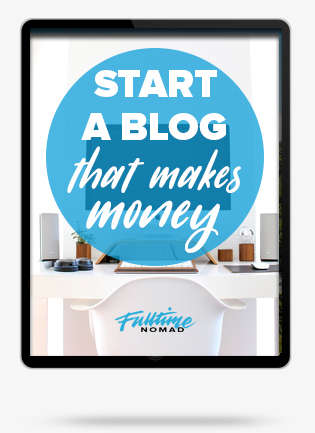 But if you want to monetise your blog, we highly recommend you get started on the right foot. The difference between WordPress .org & .com? 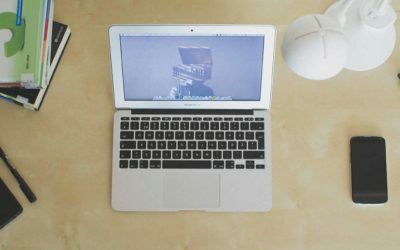 Once these three things are clear, we hope you’ll see why it’s important to have a self hosted blog if you want to make money with a blog. First things first – what exactly does is it mean to be self-hosted? Let’s forget about blogging for one second and think about home ownership instead. If you own your home, you have the freedom to customise your home as you wish. You can paint it whichever colour you want, you can add an extra room – anything you want. But, if you’re renting there’s only so much you can do to customise the house since you don’t own it. You’re at the discretion of the landlord. The same applies to web hosting. With self-hosting, you’re the owner of your WordPress site but without self-hosting, you’re simply renting the site. 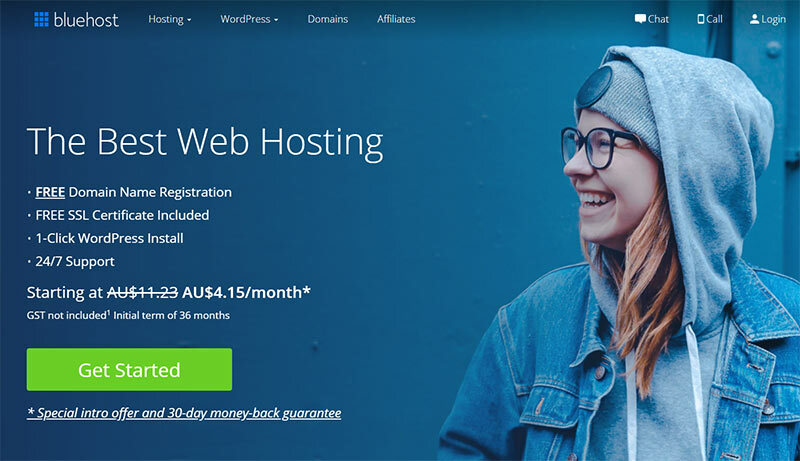 Now in technical terms, self-hosting is where you pay a webhost company such as Bluehost, to host your WordPress website online. With a self-hosted WordPress website you have total control of your site therefore, you can do with it as you please. Feel like changing the colour of your blog? Sure, go ahead and do it. Want to add a contact me box? You can do that too. Want to sell stuff on your site? Go ahead and add a shopping cart. Self-hosting gives you unlimited capabilities as to what you can do with your site. You get to decide exactly how you’ll build your site, from the ground up. You can add as many features as you want. The beauty of having control of what you do with your WordPress site is that it allows you to monetise your blog. Often when your website isn’t self-hosted, you become limited with what you can do in terms of making money from your blog. What is not a self-hosted blog? So now that you know what a self-hosted WordPress blog actually is – you probably want to know what is NOT one. A site that is not self-hosted is hosted on a free website platform such as WordPress.com, Tumblr, Blogger, Wix among others. A non-self hosted website will have the name of the platform you’re using in your website’s URL. For instance if Fulltime Nomad was a non-self hosted site on WordPress our URL would be www.fulltimenomad.wordpress.com instead of www.fulltimenomad.com. This means that you don’t own that domain name. It’s owned by the hosting platform you’re using and could take it down whenever they please without your control. You have very little control over your blog’s functionality. This also makes it very difficult to make money from a free website. This is because one, you can’t build it to meet your target audience’s needs and also, most people, advertisers especially, don’t view free sites as professional. If you want to make money from your blog and even make blogging your full-time gig then paying for hosting is a MUST. And you know what? It’s super cheap and easy to get started. For hosting we recommend Bluehost.. If you are interested you can take advantage of the special discount we got for readers which start as little as $2.95 per month. See also: How Much Does It Cost to Start a Blog? 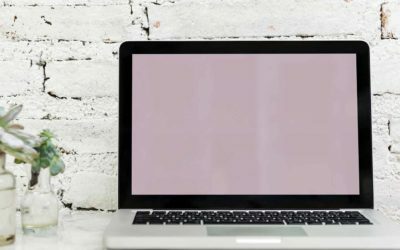 Why is a self-hosted website important? There are certain standards that your website needs to meet for you to be able to make money from it. A self-hosted website comes with a host of advantages that allow you to meet these standards. The look and feel of your website have to match what you intend to blog about. It should reflect your brand and personality as a blogger. This makes your site unique in a world where hundreds of websites are created every day. Self-hosting gives you the necessary tools to fully customise the design of your website. 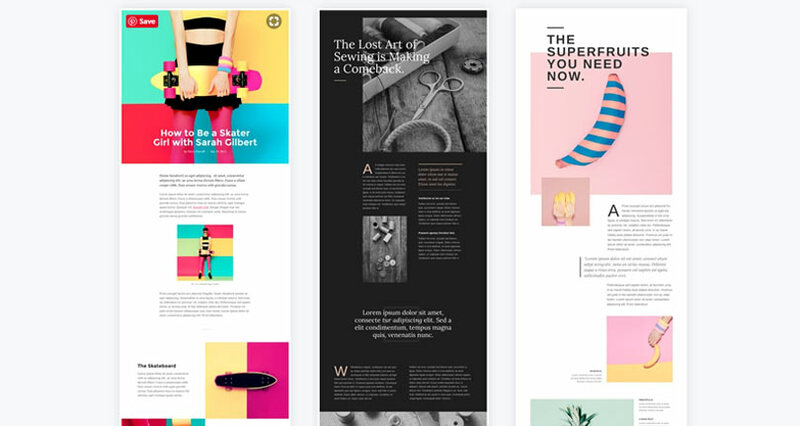 You get to choose the fonts, colours, headers, footers, images, text size, etc. that you feel will work best for your blog. There are thousands of WordPress themes that you can use to brand your self-hosted WordPress blog and make it your own. There are also certain plugins that you’ll need to extend the functionality of your website if you want to make money from it. For instance, if you want to sell products on your site, you need a shopping cart as well as payment methods. These plugins are compatible with any self-hosted WordPress website and some are actually free to use. Can you imagine putting your heart and soul into your blog only to wake up one day and puff it’s gone? Yep! That has happened to people using free platforms. Free platforms can close down instantly without giving you any warning and because, technically, they own your site if they close shop your blog goes down too. A self-hosted blog gives you more freedom, the rules are fewer and more relaxed and you’ll never see your site closed down without any consultation. 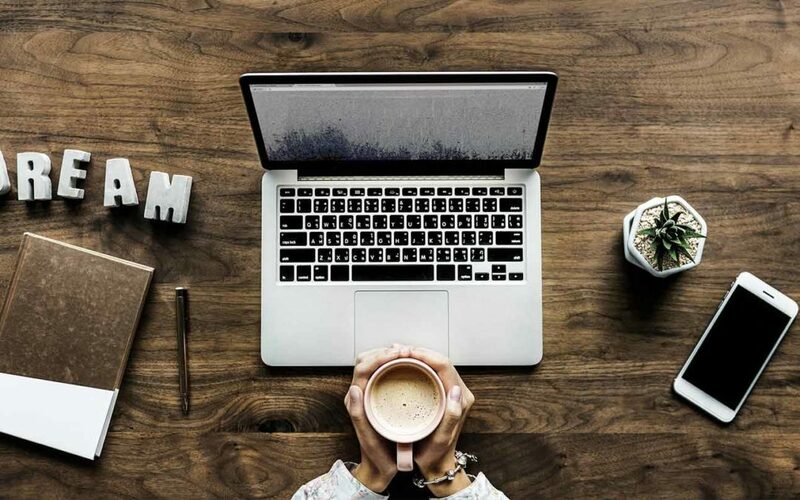 Little investment for a greater reward Free blogging platforms won’t let you monetise your blog and most importantly, brands aren’t keen on working with bloggers who don’t own their own websites and content. However, with an investment of as little as $5 per month (on average) you now have the potential to build an actual business from your blog. A self-hosted WordPress blog gives you 100% freedom to explore different ways to make passive income blogging such as affiliate marketing, e-commerce, Google ads, sponsored ads, selling digital products etc. So in essence, a free website is expensive in the long run because it will limit you from earning an income. You’ve probably never even noticed that there are two types of WordPress right? Don’t worry you’re not alone. It’s confusing and even we didn’t really understand the difference when we started blogging. WordPress is by far the most popular blogging platform and most new bloggers will start off with WordPress.com then move on to WordPress.org. The main difference between WordPress.org and WordPress.com is that one is self-hosted while the other one is free (non-self hosted). WordPress.org allows you to self-host your WordPress site while WordPress.com doesn’t. When you use WordPress.org you will have full ownership of your self hosted WordPress blog. You can customise it as it suits you. You can also add all the custom plugins and software you want. WordPress.org makes it possible to monetise your blog because you have everything you need to run and grow your blog at your disposal. You definitely want to be able to generate lots of traffic to your website to be able to make money blogging. WordPress.com on the other hand, while it’s free to use, limits what you can do with your blog. Forget about using custom plugins or even personalising how your blog looks like. If you want to use custom plugins you have to use WordPress.com’s upgrades which are VERY expensive! In comparison, it’s far much cheaper and easier to use WordPress.org than to stick to the WordPress.com free option. When you’re ready to set up your blog head over to Bluehost. 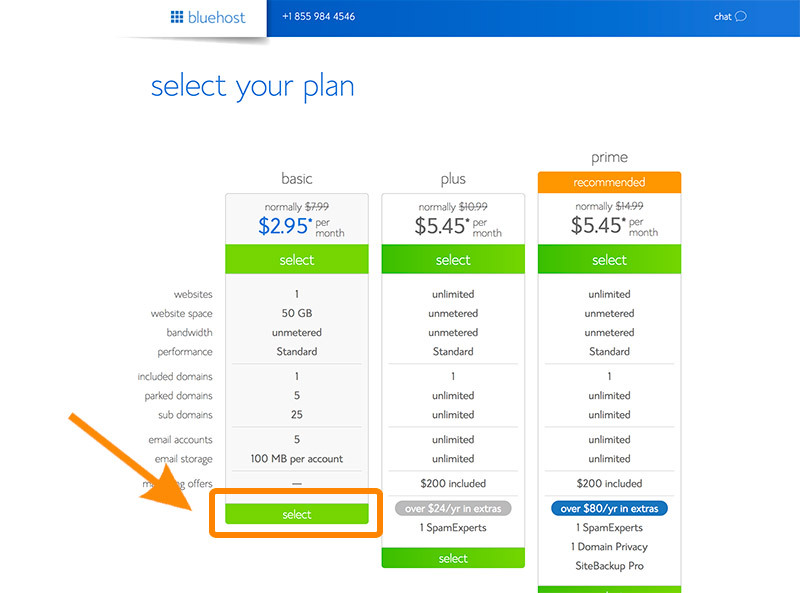 For your hosting provider, we recommend Bluehost. When we first jumped into blogging it’s exactly what we started with. It’s very easy to setup and great for people who don’t want to worry about the tech side of things. It provides 1-click WordPress installation. There’s a big community and good support for help. When you use this exclusive link, you will get a special offer that reduces the price to only $2.95/month. This includes the FREE domain. When you arrive on the homepage click the “get started now” button. You will be shown 3 options. Select the cheapest ‘Basic’ option. This will be enough when starting out. After you have selected the Basic option it’s time to select your domain. 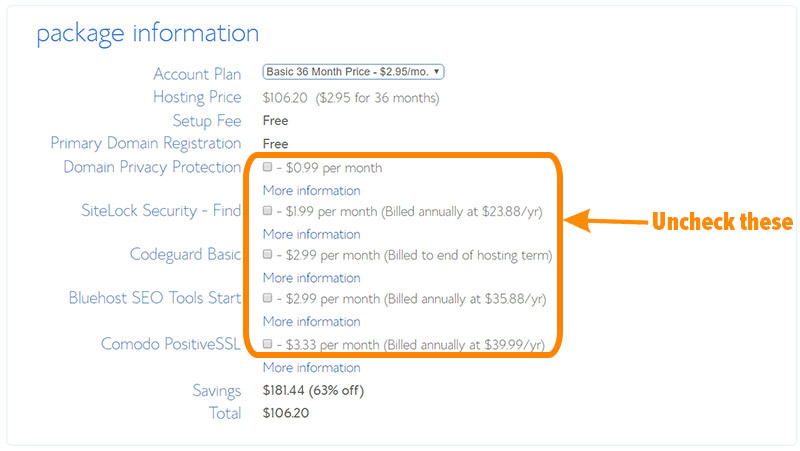 You will not be charged any extra for the domain asit’ss free with the hosting. 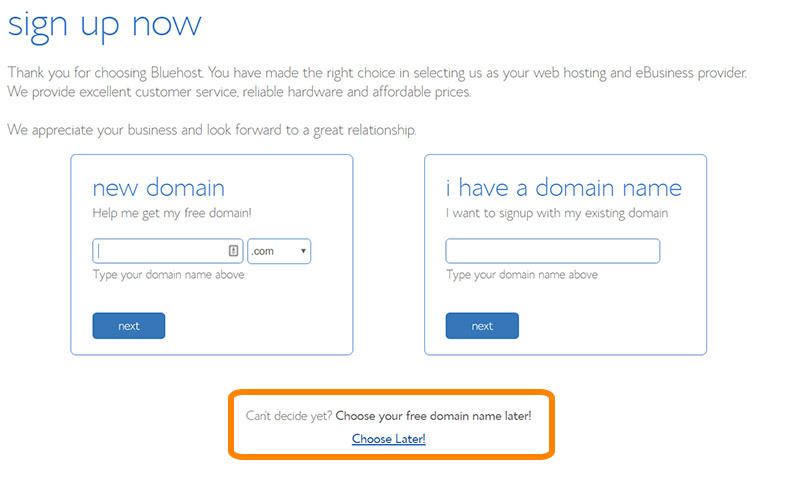 If you haven’t yet decided on a domain, don’t worry, you can click on the “choose later” link. This will allow to come back and choose a domain ata later stage. If you have already decided on your domain name, then go ahead and enter your domain and click next. From here you will be taken to the payment page where you will be asked for some basic information like name, address, email etc. In the NEXT section you will need to select your package. The the 36 month package is the cheapest option. If you want to start with just 12 months, the total price will be less, but the monthly price is going to be more expensive. If you see yourself blogging for more than 12 months then we definitely recommend the 36 month option. Below the package information, you will see a number of other options. At this stage you don’t need any of these other options, so make sure these are unchecked. Next, you will be prompted to enter your billing information. Enter you information, Check the checkbox and hit submit. When payment has cleared, you will receive an email with your Bluehost login details. 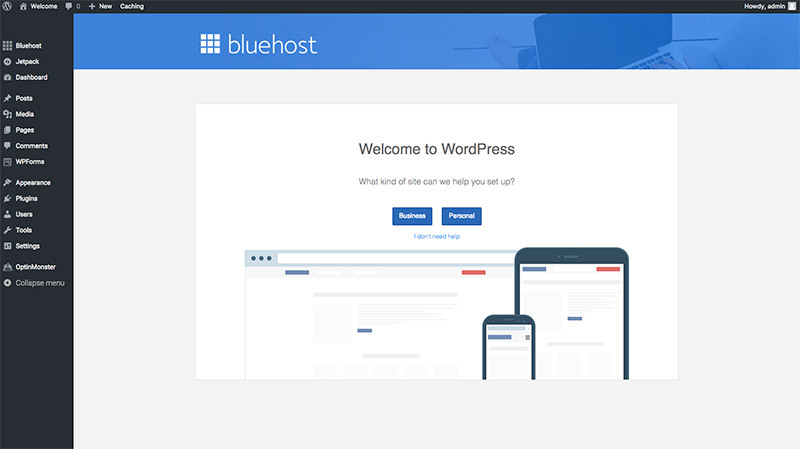 Bluehost has made is super easy to setup WordPress on your blog. So easy, that it’s automatically done. In the next step, you will need to create a password. Here you will be asked to choose a theme. For now, you can choose any theme. This can be changed later at any time. 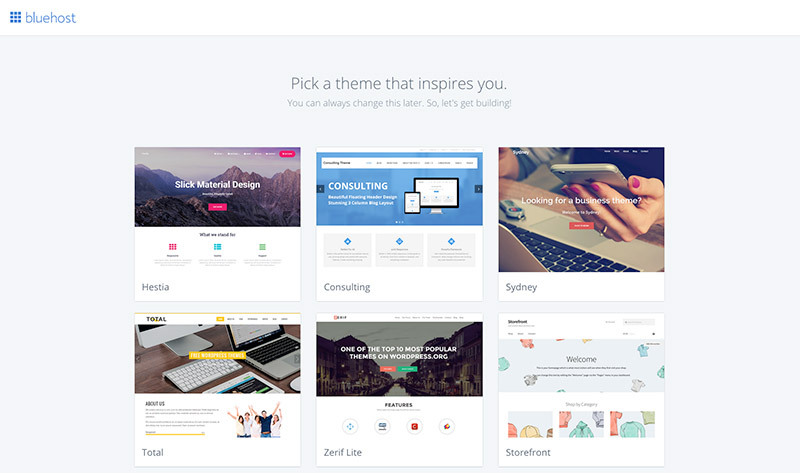 Once you have chosen a theme you will be taken to the WordPress dashboard. Go ahead and select “Business”. Congratulations you have set up your self hosted WordPress blog Now you can go ahead and start designing your site, uploading images, publishing content most importantly making money. As you can see, going the self-hosting way not only gives you the most control and allows you to look the most professional, it also gives you security and flexibility in using third party themes or plugins so your self hosted WordPress blog can be unique and powerful. Now, this is a winning combination for any blogger that indeed wants to make an income blogging. We hope now you know exactly why you should pay to have your website hosted instead of using the free platforms! Fulltime Nomad Fulltime Nomad is your passport to saying no to normal, and yes to a life of unlimited travel. 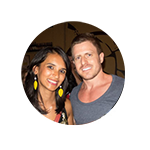 Founded by Radhika & Johnny, this blog will help YOU take that big scary first step towards building your own freedom lifestyle. Are you new? Start here.